First off I cannot believe January 2015 is halfway done! 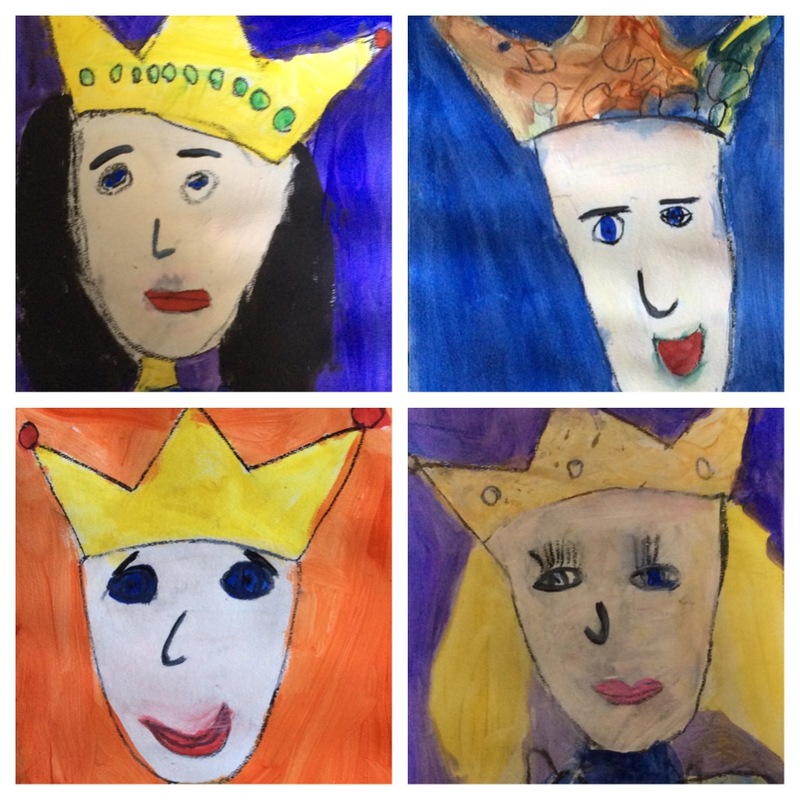 I had those fabulous Kindergarteners again and we had fun with the above Royal Portraits. I have to give credits to DeepSpaceSparkle for the lesson here is the original link http://www.deepspacesparkle.com/2011/11/16/royal-kinder-portraits/ for this. Patty has some amazing lessons and I have followed her for years. Thanks Patty another California art teacher! I found these crowns on sale at Oriental Trading http://www.orientaltrading.com/prism-crowns-a2-25_943.fltr?Ntt=crowns ($2.90 per dozen) we dawned our crowns and instantly became royal! Often during class if someone got a little crazy we discussed how royals would act it was so much fun 🙂 Lesson is below. 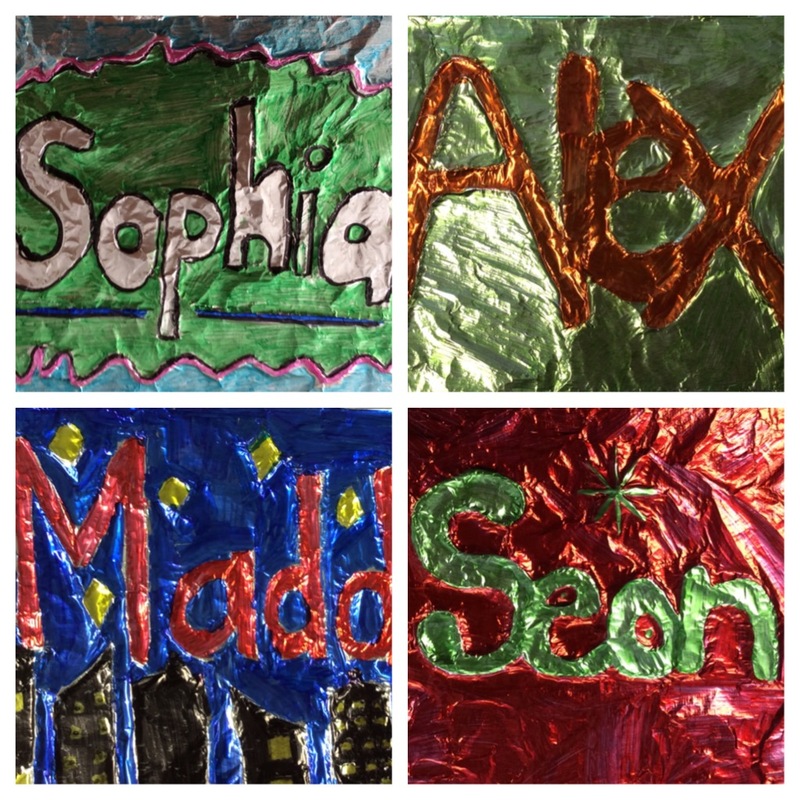 I also tried a new lesson in 7th grade with names which I believe they liked-I asked them if they wanted to keep it for next year and they said yes if we could listen to the Glee station on Pandora 🙂 So we listened to Glee and finished our work. Another fun week in Art class in one of the most beautiful places on Earth. I am very grateful for everything God has given to me and sometimes just have to say it so I fully realize what a gift everyday is!